There is no direct upgrade path from Parallels Remote Application Server v10 (or lower) to Parallels Remote Application Server v 16.0 and above. If upgrading from v10 or lower, follow the upgrade procedure here to upgrade to v14. Once on v14, you can upgrade to v16.0 and higher. Internet access is required on the Parallels RAS Console Server to install the software and activate the license. Older versions of the Parallels RAS Web Portal and Parallels Reporting are not compatible with newer versions of Parallels Remote Application Server. If the Parallels Web Portal is installed on your server, download the latest version here. Proceed to upgrade the Parallels Remote Application Server environment from the RAS Console/License server by going to Parallels RAS Console > Administration > Software Update tab > Check now > Update. Alternatively, download the installer here and Run IT on the Master PA. This will upgrade the Master Publishing Agent. It is recommended after the Master Publishing Agent, the backup Publishing Agent is upgraded followed by the rest of the components. Once backup Publishing Agent is upgraded, if prompted to upgrade components select update all Parallels Remote Application Server agents configured to the farm/ site. Once secondary site updated switch to that site and first update backup Publishing Agent and then the rest components. 4. 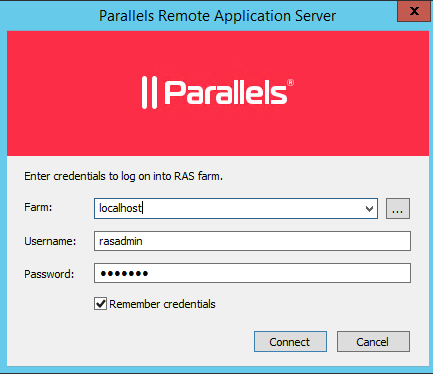 Next, download and install the Parallels RAS Portal software from General settings > Software > Check Now. This is only required if you were using the RAS Web Portal.